In spite of a consensus that most buildings need deep energy upgrades, both Ireland and the UK have barely scratched the surface. Joseph Curtin – one of Ireland’s leading energy policy wonks –discusses how to kick start en masse upgrade work. 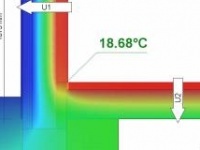 It makes sense to retrofit buildings. Economic output is increased, jobs are created in the dormant construction sector, and exchequer finances are bolstered. Investments in the homes are particularly labour intensive. Yet it’s difficult to convince homeowners to take action. Efforts to promote investments face intractable challenges, often resulting in only slow or marginal behavioural change on the ground. The installation of grant-supported cheap measures with short paybacks prevails. Deeper more comprehensive retrofits, which in many cases constitute an excellent investment proposition, remain something of a white elephant – much talked about, but rarely encountered. A central issue surrounds the shortage of upfront investment cash, sometimes referred to as a financial barrier. This barrier interacts with a number of complicating behavioural, cultural, social, and informational barriers. Where deeper retrofits are concerned, with payback periods sometimes in excess of 20 years, the split incentive is also an issue – the investor may sell on the property in due course, and the next homeowner becomes the beneficiary. An emerging trend, particularly in the UK and Ireland, is a shift from grant-based support. The objective is to establish a sustainable market-based approach to retrofit, with minimum exchequer support. This is a welcome development – grant programmes result in boom-bust investment cycles, and are dependent on scarce exchequer resources. But ensuring a smooth transition from grant programmes which incentivize shallow retrofits, to market-based approaches aimed at promoting deeper retrofit activity, is fraught with difficulties. UK green deal or no deal? The UK has taken the lead. The much-discussed Green Deal attempts to address the financing barrier by providing up-front funding to interested homeowners who want to invest in efficiency. They repay the loan as they save money on energy bills over the years. The electricity bill payer repays the investment, so that if a home is sold, the new owner takes on responsibility for the repayment stream (optionally, the loan can be repaid at this point). This is a key enabler of deeper retrofit activity. Since the programme went live earlier this year, the number of homes installing cavity wall insulation and other measures declined significantly. Households used to receiving heavy subsidies for measures are understandably reluctant to take out what’s perceived as a personal loan. While short-term teething problems shouldn’t cause concern, well-intentioned critics say that the programme is flawed. They argue that money is too expensive, with interest rates of seven per cent the norm. This compares unfavourably to mortgage products, which are becoming increasingly common in the market place. For example, Ecology Building Society charge 3.9 – 4.9 per cent for mortgages for energy saving home improvements. UK Department of Energy and Climate (DECC) survey data2 shows that homeowners who have had a Green Deal assessment still cite finance as the biggest barrier – the one that this programme was supposed to overcome. Homeowners are clearly saying “no deal”. The principle of the debt attaching to the energy meter has also come in for criticism, with many arguing that it could act as a disincentive when it comes to selling the property. While sound in theory, this is certainly a new concept for consumers to grapple with. Like all such ideas, it’ll take a lot of explaining before it’s accepted in the marketplace. If works are undertaken, however, this means a more valuable property, more comfortable living conditions and lower bills. Whether the seller pays off the loan, or the buyer takes it on, there will be a net benefit. I don’t see this as a problem in the medium-term. While it would be foolish to ignore consumer feedback, the Steve Jobs maxim that “a lot of times, people don’t know what they want until you show it to them” seems apposite. 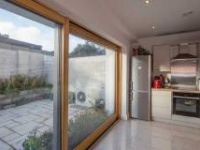 Even if loans with competitive interest rates were available, critics in the UK have argued that this would not be sufficient to drive widespread retrofit. Because of the fundamental newness of the offering, and the cultural shift required, the UK Green Building Council have argued that “long term structural incentives would still be needed to ensure sufficient uptake”. 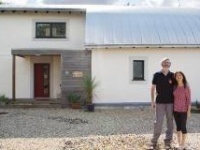 Ireland too began with a grant-aided programme, which succeeded in breathing life into the residential retrofit industry. The numbers of houses undertaking retrofit under the Better Energy Homes scheme first rose dramatically between 2009 and 2011. Activity has, however, declined significantly in 2012 and 2013. It should be noted that the average investment for a retrofit was €3,000, of which approximately €1,000 came from the grant. Although grants were available for “deeper” measures such as internal and external wall insulation, support was effectively targeted at shallow, cheap and “easy” measures: cavity wall insulation and roof insulation. Funding for retrofitting is to be phased out by 2014 according to the Programme for Government, and a ‘Pay As You Save’ scheme, somewhat akin to the Green Deal, is to replace the grant programme. Better Energy Finance, an industry-lead initiative which is working with government to design the scheme, offered some indication of the direction they will take. In a recent paper the group argued that “at this stage of the project we believe offering short payback measures is a key part of building consumer confidence in the scheme and introducing them to a journey of successive home improvements leading down a path to deeper retrofit”. They also decided that the idea of attaching debt to the energy meter was not a runner – this is consistent with a focus on shallow retrofit with short payback periods. While an overall design has yet to emerge, and it is too early to be critical of these developments, it would appear that the group envisages continuing the focus on shallow retrofit. Given that applications for these measures have collapsed even with the availability of a grant, prospects for the programme may be somewhat gloomy. On the other hand, if energy utilities are required to meet part of their energy saving targets required under the EU Energy Efficiency Directive in the residential sector, there may be additional support available to homeowners via their energy companies. The Irish government has given no indication yet how it intends to implement the directive. If the UK and Ireland are to succeed in the generational programme of upgrading the housing stock, action is required across a range of areas. Short-term political wins must be sacrificed for the objective of putting in place a programme which has the potential to deliver effectively over the coming decades. A number of lessons have been learned from experience to date, which can guide future policy development. The first lesson is reminding us of something we knew already: seven per cent interest rates will not work. If financing cannot be provided at more attractive rates over 20 to 25 year terms, programmes aimed at promoting deep retrofit will fail. The point is illustrated by the case studies in tables 1 and 2, based on data from the Irish market. We can see that deeper retrofits are only attractive as an investment proposition if money can be provided at low cost over longer terms. Related to the above points, it’s likely that there will be a requirement for government support to overlap with financing offerings for a period of time. Withdrawing grants entirely and expecting a market-based approach to take off is unrealistic. Whether grants should be maintained (perhaps with an annual degression) u or the cost of money is subsidised is a moot point, but some form of support must be provided. Another option is to provide support indirectly via energy suppliers, who are required to deliver energy savings under the Energy Efficiency Directive. This shouldn’t be a difficult sell to policy makers. The case study below (again from the Irish market) shows tax revenue to government from the installation of external wall insulation. Reduced social welfare and health spending are not considered, making this a low estimate. As we can see from the above, the grant available for external wall insulation (€2,700) is easily recouped by the exchequer. As is also illustrated from the above example in table 1, bundling of measures with short paybacks (heating controls or attic insulation) with measures with much longer paybacks (external wall insulation) is required for packages to have reasonable payback periods. Programmes which cherry-pick loft and cavity wall insulations therefore can work against comprehensive retrofits, by making those interventions technically and economically implausible at a future date. 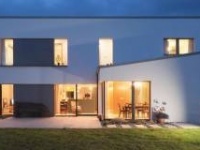 Additionally, we can see from the experience with Ireland’s grant-aided programme that shallow retrofit programmes can only be sustained at a high level for a short period, before interest diminishes. Interested householders are limited, as are the numbers of interventions available. This is particularly the case with cavity wall insulation where the majority of low hanging fruit may already have been picked. The only way to build a sustainable industry is by focusing on deeper retrofits. If we are to take this area seriously, a range of supplementary supporting measures are required to encourage the magnitude of the shift in society which is required. While a range of discrete measures are required to target different market segments (such as social housing, rented accommodation, heavily mortgaged properties, apartments, houses and listed buildings), I’ll focus on one. We know from empirical evidence that consumers are somewhat myopic when it comes to future energy costs implicit in the purchase of an electrical appliance, a vehicle or a house. This is why we have regulations for the efficiency of electrical appliances, and why car purchase tax and annual car tax rates reflects the efficiency of vehicles. When these new calculation methodologies for vehicle purchase tax and annual tax were introduced in Ireland to incentivise efficient vehicles, the impact was an immediate: consumers shifted their car purchase decisions dramatically in favour of efficient vehicles. In the UK and Ireland, houses are taxed in the same way as cars: there is a transaction tax at the point of purchase and a property tax payable annually. These tax instruments can and should be amended in a fiscally neutral manner to reflect the efficiency of houses; the impact would likely be equally dramatic. If success is to be achieved, policy makers must not be put off by the intractability of the challenge. A continued and determined focus, and the willingness to trial, test, and refine policy interventions is a necessary condition for success. There is resistance in many parts of government, in particular in Treasuries, to investing in building energy efficiency. This is particularly the case in the current climate of fiscal retrenchment. This may be because the impacts and outcomes of investing in residential efficiency are considered somewhat uncertain. By contrast, Treasuries prioritise more established areas of capital expenditure such as roads programmes. This is perhaps because these areas have a clearly defined and predictable outcome, and an established and accepted methodology exists where these outcomes can be established ex ante. Policy resistance within governments can be overcome with greater evidence on the benefits of investment programmes. For example, Ireland’s SEAI have undertaken a cost-benefit assessment of their investment programmes which show a benefit to cost ratio of 5:1 for society. A recent UK Department of Energy and Climate Change in the UK demonstrated that asset value appreciation alone may cover the cost of retrofit in many cases. These are positive developments which can be built upon. Valuable lessons have been learnt from ongoing and past programmes aimed at promoting investments in home retrofit activity. Ultimately a cultural shift is necessary in society. A tipping point can be reached, where financing investments in residential energy efficiency is as common as financing the purchase of a new vehicle. While the shift from grants to more market-based approaches to promoting deeper retrofits could be successful, more focused efforts across a range or areas is required. Government support is necessary for the transition, as are a range of supporting and flanking measures. Get this right, and the UK and Ireland can be trailblazers for other European countries. Joseph Curtin (@jmcurtin) is a senior research associate with the Institute of International and European Affairs, Dublin. He has worked for the OECD, NESC (an advisory body to the Taoiseach), and the Sustainable Energy Authority of Ireland, on climate and energy policy-related issues. 1The multiple benefits of energy efficiency policy for Ireland are discussed in more depth in Curtin, Joseph and Maguire, Josephine, Thinking Deeper: Financing Options for Home Retrofit, Institute of International and European Affairs, Dublin, Ireland, September 2011. For more general discussion see: IEA (2012) Spreading the Net: the Multiple Benefits of Energy Efficiency Policy, IEA: Paris.